← [News] 101111 The Possibility of TVXQ Trio’s Return to Appear on Japan Live Stage? 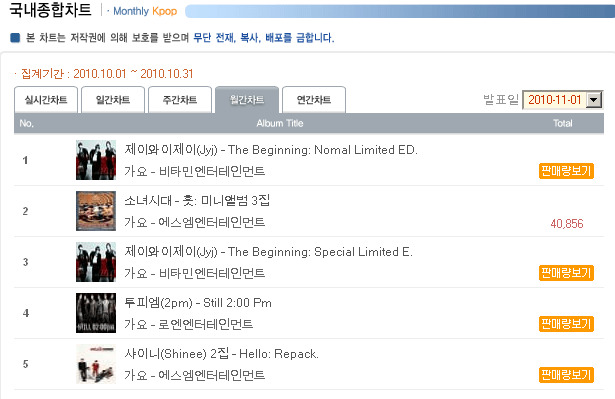 JYJ topped and ranked 3 for Hanteo October rank with ‘The Beginning’. 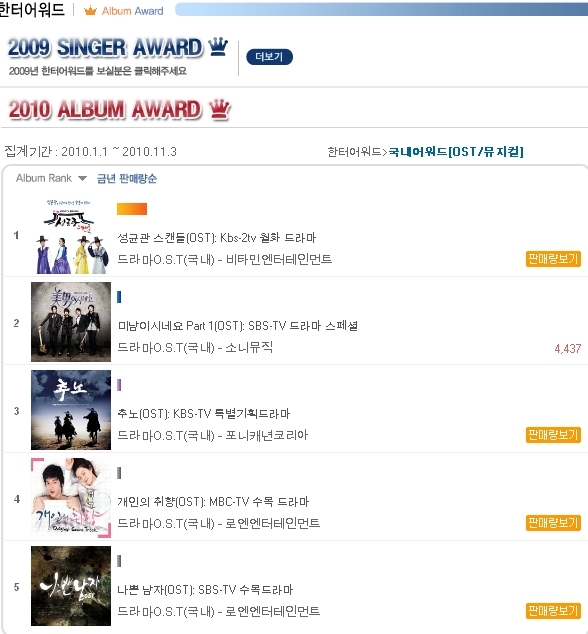 SungKyunKwan Scandal is the highest selling soundtrack album so far in 2010 Hanteo Chart Awards. This entry was posted in DTL News Preview and tagged Hanteo, JYJ, Sungkyunkwan Scandal. Bookmark the permalink.